Source: (2015/01). 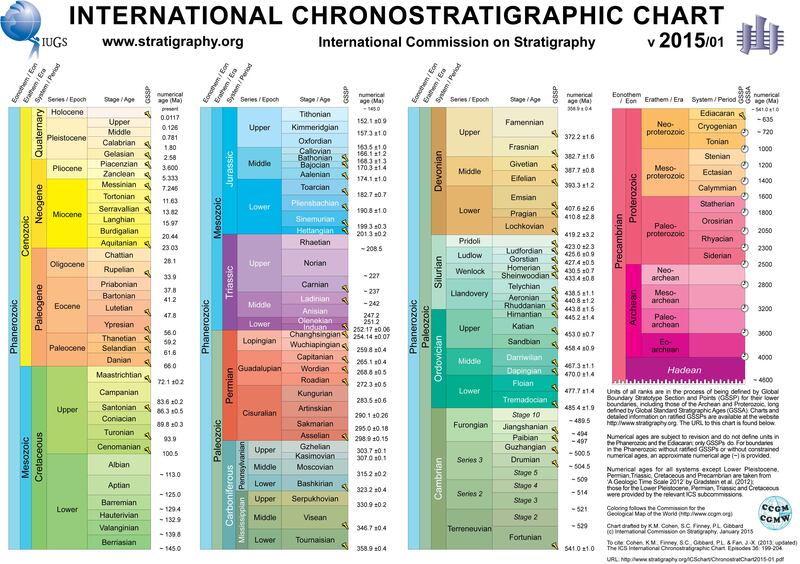 Divisions of Geologic Time—Major Chronostratigraphic and Geochronologic Units USGS 2013년 3월 10일에 확인함. 이 글은 지질학에 관한 토막글입니다. 서로의 지식을 모아 알차게 갑시다.